Online cloud-based platform that allows you to quickly create, edit and review PDF files. PDF Pro Reviews Recently Reviewed! Our search for a one size fits all pdf editor and converter officially came to ab end with PDF Pro! Pros: We initially decided to make the switch to PDF documents in our company but hadn't anticipated how much of a problem getting a good PDF editor would be since employees use a variety of operating systems. We would adopt a PDF editor and then drop it after finding that it had issues with a certain operating system. This costly and quite aggravating cycle came to an end when someone referred us to PDF Pro. The fact that it is primarily online based was perfect since individual employees could work on documents on their own machines and then upload, edit and download them with PDF Pro. Since this was the most important feature, we found that we didn't even need to invest in the premium version in the beginning. We all love the simple layout and the intuitiveness of the PDF Pro website. None of us had to scratch their hair out trying to figure out where the upload, edit, merge etc, buttons were, something we had come to expect with the other PDF readers in the market. The clean layout and the color schemes and the well placed error messages meant that we were successfully uploading, editing and downloading PDFs from the get go. Another thing we liked about PDF pro is the well featured editing panel it offers. Virtually every editing feature we wanted was present, from merging to password protecting to adding watermarks. This means that we would easily ditch other PDF editors and stick with PDF Pro for the long term . Cons: After using PDF pro for as long as we have, we don't really have any complaints. Initially, we would get some bugs in the PDFs we were generating but the admins sorted out that issue and more. It is a world class product if ever there was one! 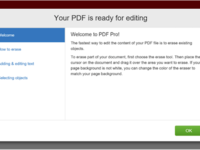 I love the fact that we don't have to sign up for an account before we can use PDF Pro. 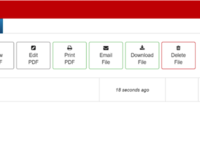 PDF Pro simplifies file conversions! Pros: This software is the easiest and the most convenient mechanism or method to convert documents from .pdf to .doc and vice versa. In the nature of my work, it is very important to keep all the records I am preparing everyday to keep intact and organized. I usually prepare documents in .doc format and using PDF pro is easier for me to convert it in .pdf. Though, there are other available software that I can use, PDF Pro is my personal choice since I can easily navigate the software because of its user-friendly interface and the icons and tools provided by the software can easily be understood their functionalities. Cons: If the files are too big it takes time to convert from one format to another. Other than that, the software is perfectly fine. Overall: PDF Pro simplifies the process of converting my files in different formats and it helps my files more accessible and presentable. Pros: PDF Pro makes it easy to get documents scan into your email. Easy to convert into WORD documents. If you are emailing the documents are an attachment, you can shrink the attachment so that it is not too big and stops the email from being received. PDF can be saved for long periods of time. You can edit the document which you saved PDF. If you documents are up side down you can turn them to the right direction . Cons: Some times when you converting the documents it takes to long. Sometimes you cannot convert the document to a WORD document because it is too big. Pros: The ability to scan a pile of mixed documents and separate them within the program. This makes the digital filing process quicker, simpler and easier. Cons: The fact that you have to select your printer every time you are going to print something. It doesn't store a default or recognize your default printer. Overall: When we first shifted from paper filing to digital, the process of having to individually scan documents was incredibly tedious and time consuming. A friend recommended PDF Pro and told us about the scan them all separate them later benefit and what a hero she was. Pros: My PDF documents I do with PDF Pro, for me this application is great because I do not need to download it on my computer, so I work directly in the cloud and with it I can create and edit documents very easily, it also allows me to convert any type of document in PDF or recover documents in case of loss, that's why I recommend this application. Cons: During the time I have used it I have not detected faults, for my PDF pro it is a very good application that helps me in all my daily tasks. Pros: PDF Pro is an excellent tool that allows you to edit your pdf documents. It allows to highlight, add comments and observations to all types of PDF documents, even those that are protected by the privacy settings. Its use facilitates the student's life, who can underline and take notes digitally while reading and analyzing the text. Overall: My experience with PDF pro has been very positive, I used it a lot while I was writing my thesis, it was very useful in the research process. This is good software to protect my documents and have a good quality in the format of the document. Pros: What I like most about this software is the security of the protection of the rights of sources, especially it is very useful in my work as a lawyer because I work with very delicate documents, besides protecting my initial format, avoiding errors in the document. Pros: That I can edit a PDF! 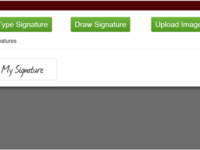 Make it a fillable form, add notes, add text or merge multiple documents into one single PDF. Cons: With the latest update there have been some editing lags, it takes over a minute to prep my document for editing. Overall: The functionality that this application offers is amazing and I use it on a daily basis. Pros: No need to download the application actually on my machine, i can edit my file online as well as can compress the same. Can merge multiple pdf files in a single file is an awesome feature of this tool. Import and export feature in different format easy to use. Cons: Some advance features require a bit knowledge to use. Overall: PDF Pro This application preety much good to compress the size of file. Due to large file size sometime my SMTP client hangs so i use to compress such pdf file before sending in email attachment. Pros: First of all I love that with this PDF editor you can do absolutely everything that others allow you to do and also the cost is much lower, it allows me to edit my pdf documents, create them from word, excel, powerpoint, among others , also one thing that allows me to be very, very useful is to be able to place my watermark on my documents and therefore avoid using the material that I create without my authorization. Cons: The truth is that there is nothing negative in this software, more than the lack of technical support, which is not entirely good. Overall: My experience has been very good the truth, the only thing that has happened unfavorable is that when it comes to needing technical support I have not obtained a quick response and the documentation that exists is quite short. Love this program! I can edit any pdf with it. Pros: PDF Pen is asy to use, and very inexpensive compared to other pdf editors. It's easy to match fonts, attach .gif, .jpg, or .png signatures or initials, and make the pdf look totally professional. Overall: I can very quickly receive, edit, and send pdf's for every possible purpose, from legal documents to personal documents. Supposedly editable pdf's are often poorly made and don't cross platforms. But ALL work with PDF Pen, and cross all platforms. Pros: Easily allows you to compress documents to save them or send them by mail more easily. You can also create, edit and review any PDF file; being able to add text, graphics, tables etc is very helpful when creating forms. Cons: The software is a little bit expensive. Cons: Has functional limitations. Sometimes I encounter sharing or usability with other systems. Overall: My overall experience has been great. It acts as a alternative and donetines s solution when dealing with various documents. Pros: You are able to edit and organize pages easily. Cons: Sometimes when I switch to a different place to type, it changes the font. Makes documents easy to read! Pros: It what it is, a PDF converter, easy menu, easy search mode, totally free, I always need my documents lighter and avoid the possibility of edition by another person, as well you can make an account and it`s easier because you all benefits. Cons: I don´t really have a complain about this program, but would be great to have a movile app of this program becuase it has a lot of pros. Overall: Easy, free, quickly, when I need to convert my documents this is the best tool to do it. PDF Pro is great for creating, viewing, and modifying pdf-based documents while keeping them secure. Pros: I like most that you are able to edit text, modify images, and apply passwords when needed. It helps make editing documents while keeping them secure - a much more simple task! Cons: I least like its ease of use. Sometimes the icons and tools can get a bit confusing when differentiating and deciding which icon or tool will execute what. Overall: Great tool for editing pdf documents and keeping them secure at the same time! Pros: Price! Ease of install. Ease of use, even for the nubie. Cons: I have not found anything to complain about. Overall: Adobe Acrobat of course is the best and most expensive. At just a fraction of the cost, PDF Pro does all of the things we need it to. We need to add and remove pages, use dynamic stamps. Create PDF's from Word and Excel or any program. It does all these thing, and does them easily. Pros: The best part about it is that it's free for up to 3 files per month. I deal with contracts and compiling paperwork that is sent to me and I received them in various formats, sometimes I get a separate file for each page. PDF Pro makes it easy for me to quickly compile all of the various documents into one pdf file quickly and easily with the Merge. Split, and Rotate tool. Cons: There isn't much to not like about this tool. It has everything that I need and more. I can't think of anything else anyone would need. Pros: PDF Pro is one of the best PDF editor in the market. The editor is easy to navigate with and is loaded with a lot of functions. Cons: Not really any coins to report about this great software. If you want a great PDF editor for for Apple products, then PDF Pro may be the answer. Pros: It is very easy to use. It helps me in my job. Cons: I honestly can't think of anything that I don't like about it! Pros: When i was typing an article to the university i needed to create a pdf document and i didn't have an option in my original office, so i found this software, which is friendly, you can create any pdf document, full of tools and it is so important to the students because i am a professor and i often send evaluations and practice guides in this format. I can recommend it. Cons: I would like to have a version of this software to smartphones because it would be practice to can create documents in a portable way. Pros: The PDF Pro is very easy to use, and the User Interface is also very beautiful. And the pdf combination function is really powerful. Cons: Though it provides a free edition on the Mac platform, but some functions still need to be purchased. Pros: It's easy to edit, convert, and organize PDFs. Cons: I have nothing to dislike about this. Pros: It's a quick way to convert a file from word to pdf. The interface was simple and easy to use. Sometimes these sites are hard to use and confusing - but they make it plain to use. Also, there's not a bunch of ads in your face. The tabs were clearly marked making this process very quick, when I don't need something with tons of options. Cons: So while it was easy to use ... after the pdf conversion, it wasn't very obvious where the file ended up. It left the word doc and then the pdf converted file was above it ... it just wasn't extremely obvious where it ended up. Pros: Easy to use, contains aller the mot common PDF finition every user need, but the most important advantage of this software, it revolutionalise all functionalities of pdf we were familiar with.for instance it allows to edit someone else's file or you have saved before, allows to convert PDF to Microsoft word. Needed a PDF converter and after a quick google search, found PDF Pro and got the job done! Pros: Quick and easy to use online site. No lag when uploading or downloading the document. Able to remove password locks that were misplaced. Conversions to other document types was effortless. Cons: Could improve on processing time. Would be nice to have a desktop executable to utilise as it could be useful. Online subscription could be reduced. Overall: Could use online at home and not restrained to the office. Has come handy when at a airport and needing to convert or change a PDF quick. Pros: All things that in the past looks impossible you can do now with PDF Pro, with this awesome tool you can create, edit and review any PDF file, through and very friendly interphase you can edit fonts, add text, underline, you can also export and convert, insert and modify tables and graphics, make forms, and the most important of all secure your files. Overall: Edit and modify all the forms that I do and has mistakes, I could never imagine that I can handle a tool like this nowadays. Pros: My needs are minimal so I purchased PDF PRO as it was on the low end of expense. Cons: After using Adobe writer for years at another company I switched to PDF PRO Limited at my new office as my needs are limited to very simple editing of a few file numbers. Adobe was great and easy. PDF PRO was not as robust but for the money I was ok with that until it stopped working a month after I purchased it. I tried support to get it fixed to which there was a preliminary response asking for copies of documents so they could see the problem. I sent it then nothing happened. As I have not been able to edit documents I have been editing word documents then saving as a PDF and then deleting and inserting updated pages into a pdf document with PDF PRO. Clearly not ideal. I had asked for my money back but they said no as it was over 60 days (I believe.) I again reached out and they suggested I delete and reinstall which I did. It still has the same issue that anything I try to edit corrupts the file and cannot be opened in another pdf program including Adobe which is what most computers use. I reached out again and again silence. I am now giving up and getting another program. Overall: I could not love without it. Its the best at taking any object and turning it into a editable piece of art. Recommendations to other buyers: Its great. Pros: Making changes, adapting a PDF document, cutting or adding pages, PDF Pro makes my job much easier! Cons: Nothing. I have yet to find a flaw in this program. PDF Pro is the way to go. Don't waste your time with other programs. Pros: This is a good software for editing a PDF file, you can add and delete a text, add a picture, even a signature, some other minor icons too and it's very easy to use. Cons: What I didn't like is that fonts are limited to just 4 and especially their size, as font sizes are predefined and you can choose only from the offered sizes, for example once can choose font size 18 and 20 but there is no 19 . Pros: It is pretty easy to set up and start using right out of the gate. Integrates pretty well with Microsoft Office applications when you are looking to convert documents. Much cheaper that Adobe Acrobat. The UI - user interface - is intuitive and easy to use. Cons: Does not do OCR - optical character recognition. For me, this is a deal breaker. Not all PDF files are created equally. You need to have the OCR in order to scan certain types of files and work with them. Pros: Love how easy it is to creatr, esit, and watermark my off documents. I find it very user friendly..
Cons: I haven't found anything negative about off pro. Like I said, it's very user friendly and I like that. Review and edit all PDF's in one place! Pros: Love this easy to use tool to review, edit, track, and store all of our PDF's. Edit and sign is my favorite feature. Overall: Pretty easy to use, some documents are harder to fill and sign than others but I think that is the PDFs problem and not PDF pro. Pros: Easy to use on the fly while on mobile--and it's pretty iPad friendly for that use. It's intuitive when you are searching for functionality and pretty stable. Also opens PDF files fairly quickly. Cons: Have had some issues with very (very) large PDF files--causing some crashes. Outside of those very large files, it's very stable. OCR has some issues as well. Overall: It's well worth the money if you edit PDFs on tablets. Pros: I have it and used and it is very good for document, i can add notes and put signature on.